When Auntie Mabel, the advice columnist for the Ravensford Chronicle, dies suddenly, Laura Magee secretly replaces her. All goes well until Keith Campbell, the handsome head of security at Ravensford College, charges into the newspaper office to complain that Auntie Mabel’s advice has brought about the demise of his relationship with Heidi Lipton. Attracted to Keith, Laura persuades him to take her to a formal dinner at the college, using the argument that making Heidi jealous is the best way to win her back. Laura’s plan hits a bump in the road when her search for a rest room during the dinner leaves her lying on top of the body of Jack Proctor, an art teacher at the college, who has been stabbed to death with a steak knife. Proctor had been sexually harassing Heidi, so Heidi ends up as the primary suspect. Keith declares that he will stand by Heidi in her time of need, and Laura realizes that she must clear Heidi if she ever wants to win Keith over. With the reluctant help of Michael Farantello, chief of detectives, she embarks on an investigation. 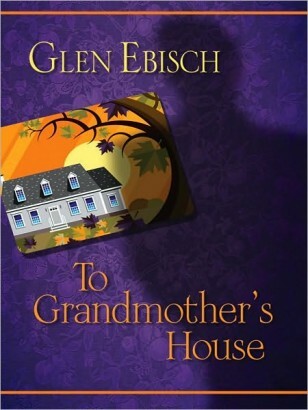 To Grandmother’s House is a clever, fast-paced romantic mystery that combines a challenging plot with a humorous look at contemporary relationships set against the backdrop of a quirky town in western Massachusetts.